1970 was a good year for BMW. They were coming out with a newly designed engine after 16 year, and putting into a frame with modern suspension. 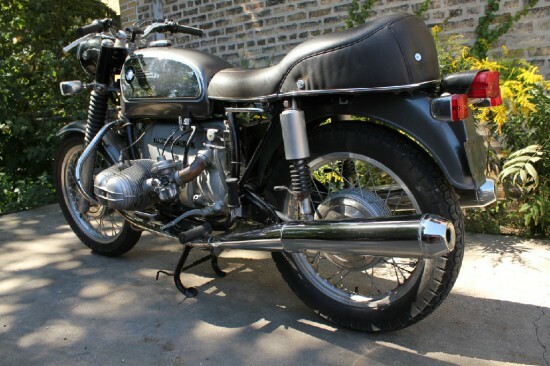 They were trying to shake the old man’s bike image and this 1971 BMW R75/5 offered on eBay now is a very nice example of the “New” BMW. 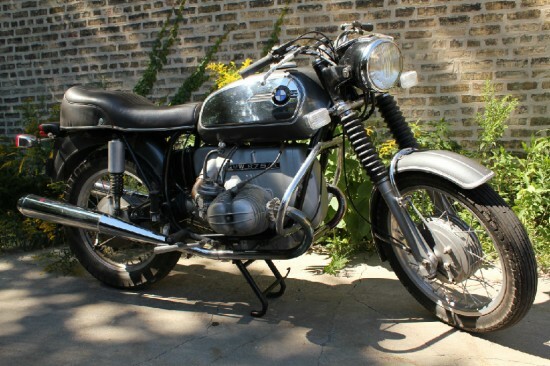 After the War BMW came out with a new engine design and put it in a pre-war frame for a couple years while they rebuilt as a company. By 1955 the new engine was in a new frame and life was good. But after 15 years the kids were saying that BMW was for old men. 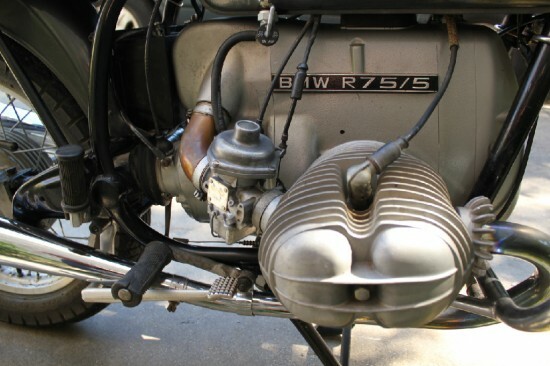 The R75/5 changed that, giving BMW a 750cc engine for the first time since the 1930’s (well 750cc for civilians, and not attached to a sidecar). An the advertising from the time often showed young men with woman not wearing riding gear. The new engine for the /5 series was visually different, with a more square shape and larger then the previous engine. They moved the cam shaft below the new solid crank, for better oiling. The heads were directly bolted into the engine case through the cylinders. 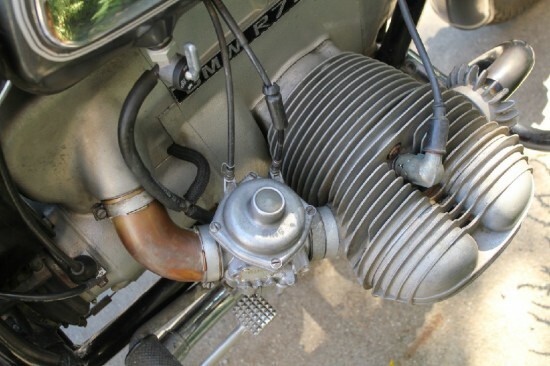 The air box was more of a box and became part of the engine mass. Spark was now 12volt and delivered by a coil instead of a magneto. 5. Front fork rebuilt with new fork seals. bearings repacked and re tightened. The lower steering damper plate is need to be replaced. 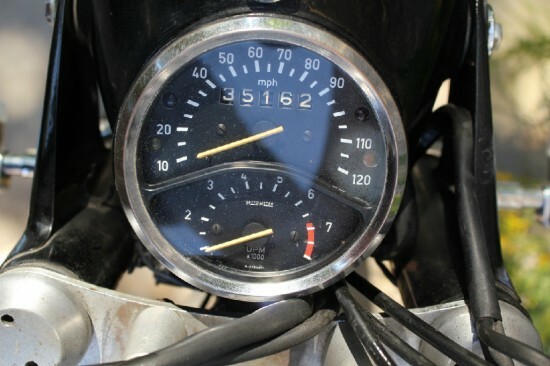 Performance for the new engine with its 748cc and 9.0:1 CR was 50hp at 6200rpm, and fed through Constant Vacuum (CV) carbs, which would move the rider to 108mph (only 8mph more they there sport bike from 1954). Enough for spirited solo, or two up cruising. 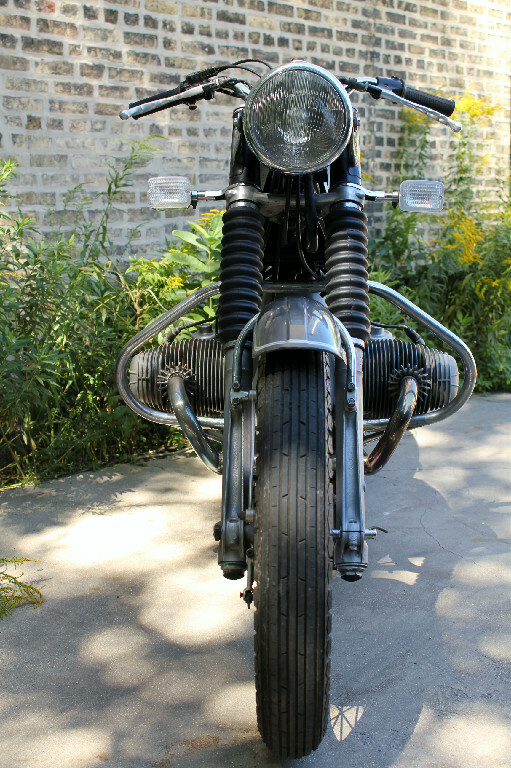 BMW had gotten rid of the old Earles Forks, and added a updated telescopic front end. They had test marketed these forks in 1968 and 1969 with US market only in R50US-R69US. The rear end was a proper swing arm with twin shocks attached to a sub frame, but because of some handling issues some changes were made.